Download "No. 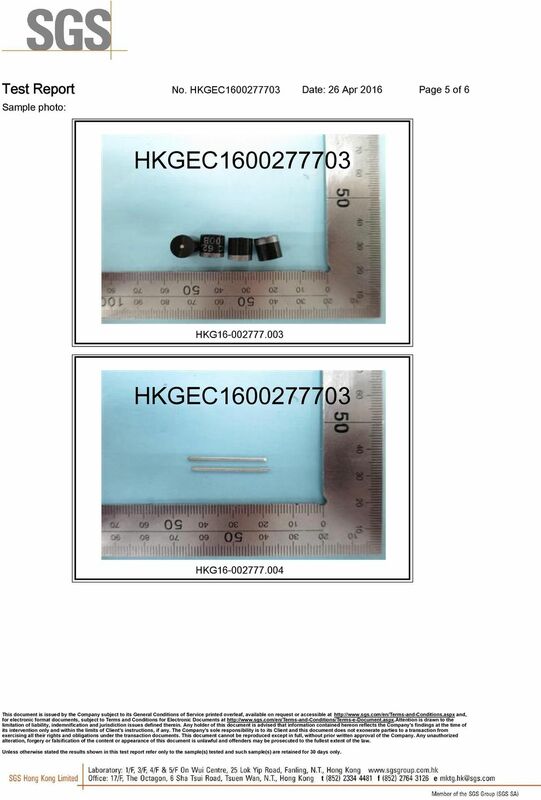 HKGEC1600277703 Date: 26 Apr 2016 Page 1 of 6"
4 No. 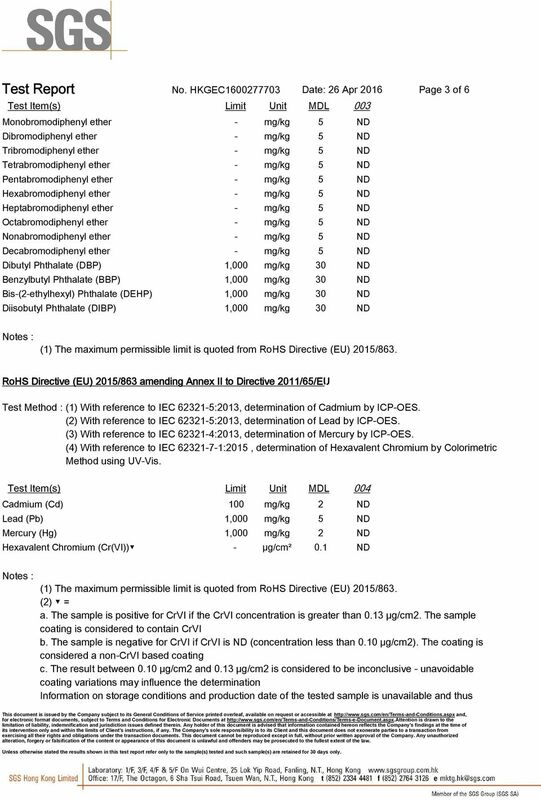 HKGEC Date: 26 Apr 2016 Page 4 of 6 Cr(VI) results represent status of the sample at the time of testing. 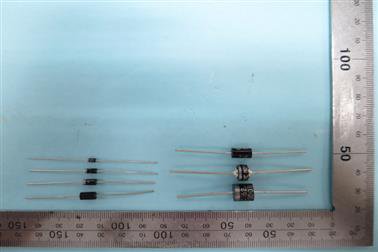 IEC series is equivalent to EN series ,25. 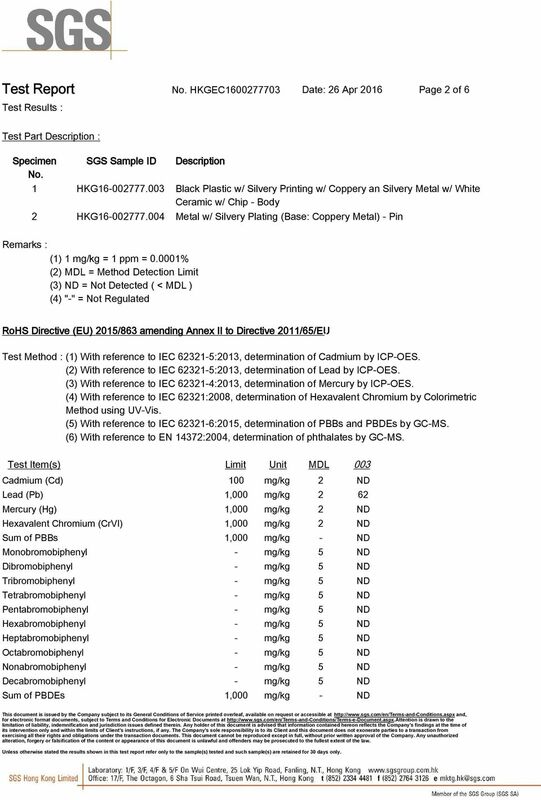 Test Report. 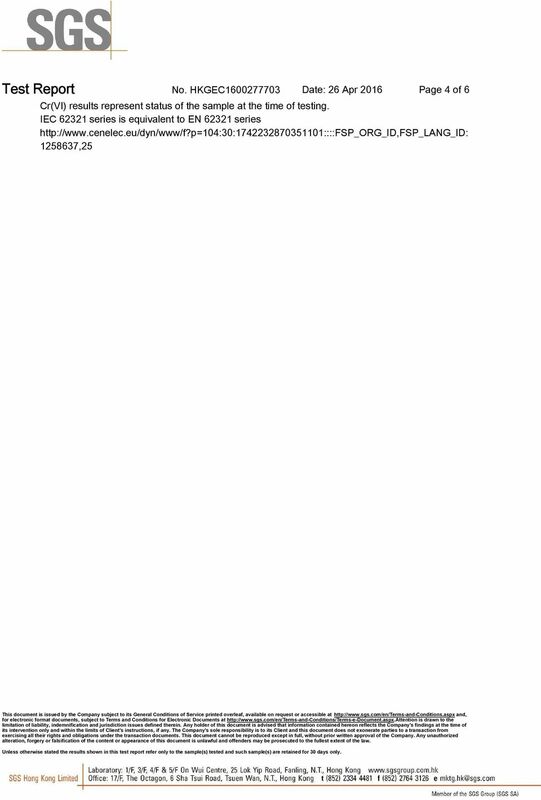 RLSHE000863440001 Page 1 of 6. Report No. n Chi Mei Corporation 59-1, San Chia, Jen Te, Tainan City 71702, Taiwan, R.O.C. TÜV Rheinland (Shanghai) Co., Ltd.
Vishay Material Category Policy Revision: 15 June 2016 : PREFACE : The Vishay Material Category Policy defines the process and guidelines followed at Vishay in response to global environment related directives. Test Report. No. SHATY A01 Date: 12 Aug Page 1 of 5. Verification Report. Report No. 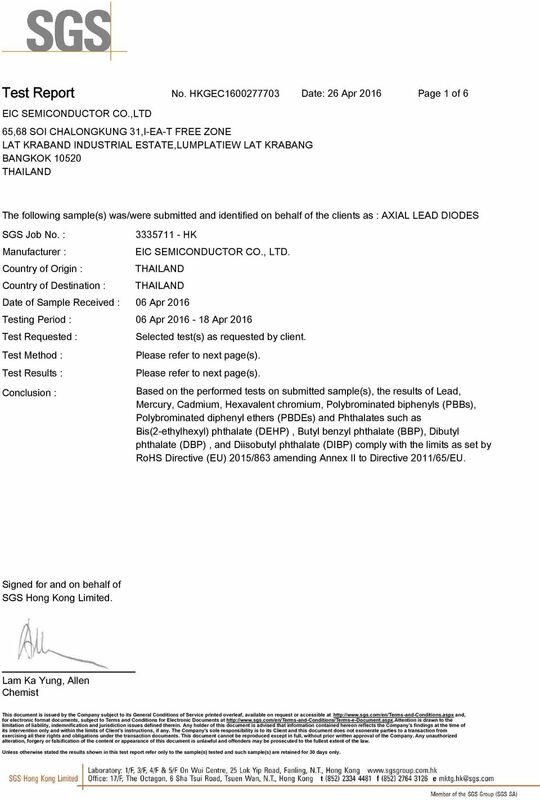 :RLSD Page 1 of 7 :FOSHAN ELECTRICAL AND LIGHTING CO., LTD.
TEST REPORT Page 1 of 9 REPORT NUMBER : APPLICANT NAME ADDRESS BUYER SAMPLE DESCRIPTION : TURT110095147 Erpa Oyuncak San. ve Dış Tic. Ltd. Şti. Ramazanoğlu Mah. Şeyhli San. Sit. Mimar Sinan Cad. Gül Sk. 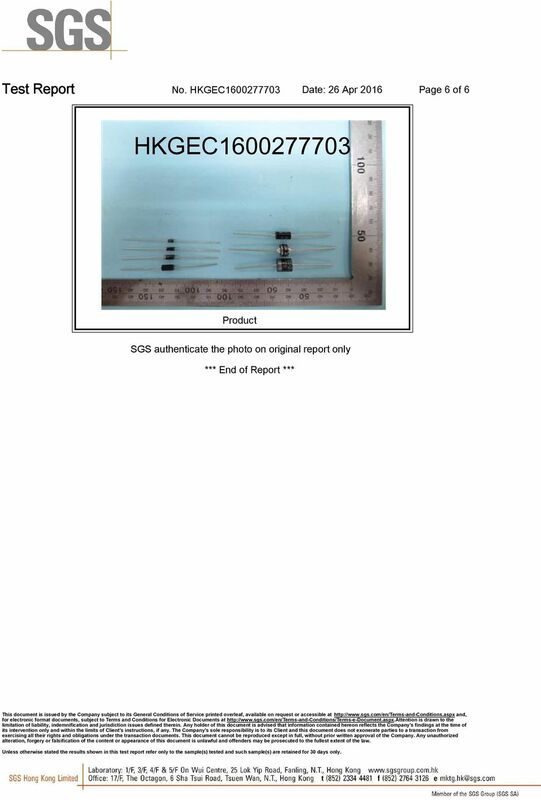 China RoHS label. 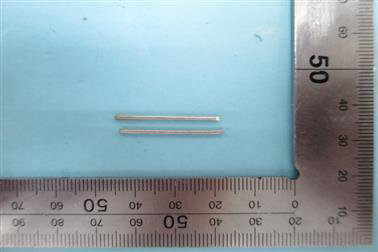 When does the China RoHS label apply? Install Guide. For pr 2.1.x installer v.8.1. ARH Inc. H-1126, Budapest Királyhágó tér 8-9.